“Salt of the earth, light of the world…” These Gospel words could sum up the week that a brother spent in Mongolia at the end of August. 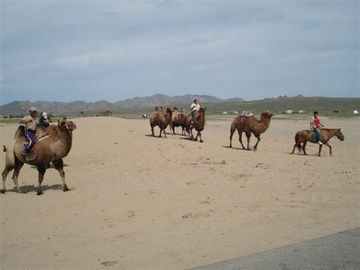 This was not the first time that a brother had been to Mongolia. One of the brothers of the fraternity at Seoul is an artist. He has been to Ulanbataar several times to research how to decorate the new cathedral with stained glass windows. A first stage was to think about how these windows could be integrated within the whole of this building, whose architecture was inspired by the traditional Mongolian house, a circular tent called a ‘ger’. Other stages followed: developing a project, presenting it, discussions on site, and finally the installation of the windows, as well as a cross on the top of the cathedral. This time, there was a different reason for the visit. The liturgical commission of the diocese of Ulanbataar had invited Archbishop Thomas Menamparampil, responsible for evangelisation on behalf of the Asian Bishops’ Conference, to come at the end of August and run three days of seminars on the theme “Salt of the earth, light of the world…” The organisers wished each meeting to begin with a meditative prayer, using the songs of Taizé , some of which have been translated into the Mongolian language. Archbishop Thomas had therefore asked a brother of Taizé to accompany him. The Archbishop and the brother arrived in advance so that they could be better prepared. The days leading up to the seminars allowed them to discover the vitality of this very small Church. One had only to arrive at the pastoral centre to realise that, in 18 years, the Church has really taken root. The Sunday Mass at the cathedral was very festive. It was the 7th anniversary of the episcopal ordination of the bishop of Ulanbataar and the young people and lay people were fully involved. This bishop arrived in 1992, as a young Filipino missionary, with two companions, in this country where there was no longer a Christian presence. Before the lectures began, a visit to faraway parishes had been organised. Leaving Ulanbataar is already quite an experience, the city is spreading more and more, since half the country’s population lives in the capital. Last year’s terrible winter shook the whole country: 8 million animals perished in the cold. 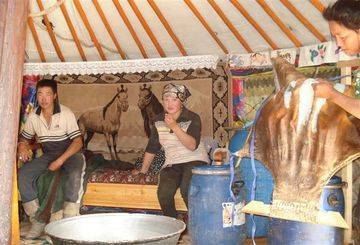 30 per cent of the population is nomadic and they lost their only means of livelihood. The only solution for them was to head for the city, where they might find work. In the capital a religious order looks after street children; others have opened centres for students. At Avaiheer, goal of this little journey, a group of religious brothers and sisters are using all their imagination to help the population: the sisters teach sewing and the women can make all sorts of objects which are then sold outside; a young priest has created a model garden to teach how to cultivate a vegetable plot. 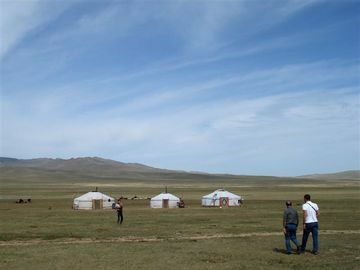 The long journey of 500 kilometres across the steppe, to reach this parish, allowed a conversation with a young priest on the question “How can one transmit the Gospel in such a situation?” What was clear was that the first approach is to see the person, listen to them, understand their essential needs, let them express their expectations. Great patience is necessary since the expectations of others have different levels and time is necessary to let them express their most existential expectations. To communicate the Gospel, one must use not only words but acts, to show that each human being is loved and that Christ came to prove this. The projects of social help described above are a living example of how Christ accompanies each man and each woman. 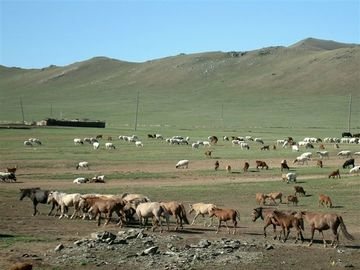 This young priest, who lives in Mongolia, told how when you talk to those who look after the flocks, you can tell immediately whether they look after sheep or horses. Those who look after the sheep are more gentle, those who look after horses are firm. As the car was driving along, its windows open, we heard one of these young herdsmen whistling. The horses had recognised the voice of their herdsman and ran towards him. This beautiful story is a symbolic illustration of the question “How to transmit the Gospel in a concrete way”: the young herdsman has a personal relationship with his flock, he knows them – each of the sheep, each of the horses – and they also know him.